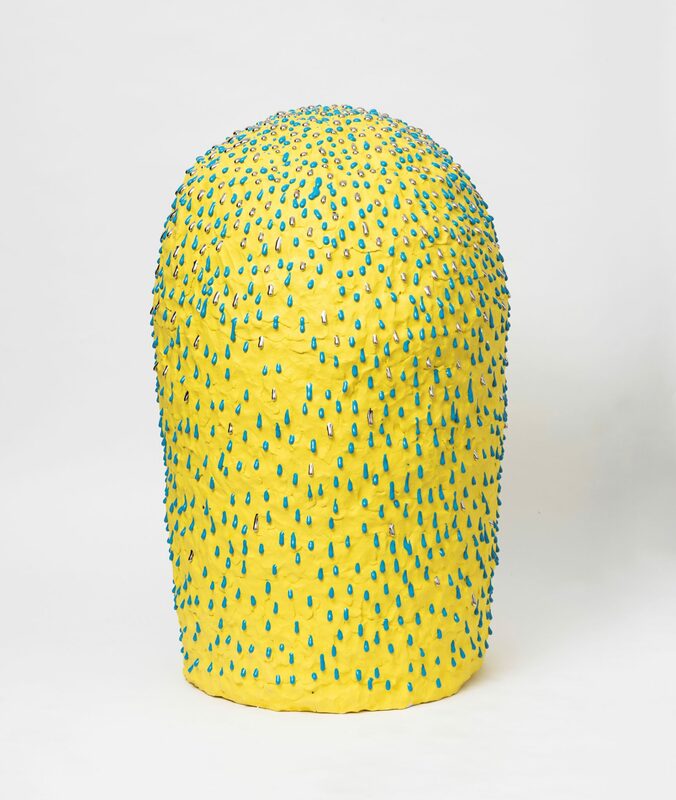 An admirer of the bright colors found in European modern design, Japanese artist Takuro Kuwata uses a bold palette to accentuate the natural characteristics and warmth of clay. Here, platinum and bright aqua droplets dot the surface of Kuwata’s sculpted form; the gleaming perfection of the glossy glaze contrast against the lumpy, vibrant yellow. The playfulness found in his work hides the meticulous care put into each piece. The cracks, lumps, and sagging glazes he animates with color are derived from a variety of traditional processes — from the gold application on Wedgewood cups to the thick glazes of the Japanese Shino-yu technique.